In this evocative and gorgeously wrought memoir reminiscent of Rob Sheffield's Love Is a Mixtape and George Hodgman's Bettyville, Michael Ausiello - a respected TV columnist and founder and editor in chief of TVLine.com - remembers his late husband and the lessons, love, and laughter that they shared throughout their 14 years together. What many of his fans don't know, however, is that while his professional life was in full swing, Michael had to endure the greatest of personal tragedies: His husband, Kit Cowan, was diagnosed with a rare and very aggressive form of neuroendocrine cancer. Over the course of 11 months, Kit and Michael did their best to combat the deadly disease, but Kit succumbed to his illness in February 2015. In this heartbreaking and darkly hilarious memoir, Michael tells the story of his harrowing and challenging last year with Kit while revisiting the 13 years that preceded it and how the undeniably powerful bond between him and Kit carried them through all manner of difficulty - always with laughter front and center in their relationship. 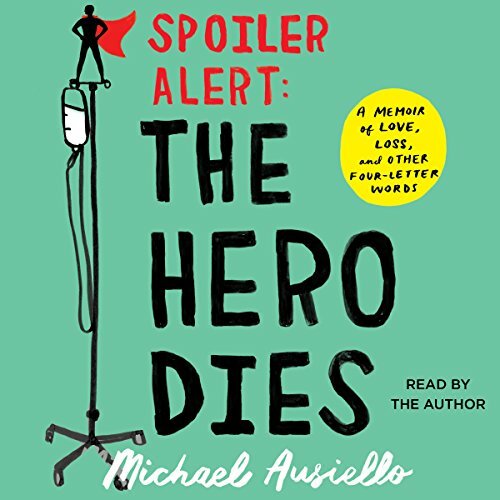 Instead of a tale of sadness and loss, Spoiler Alert: The Hero Dies is an unforgettable, inspiring, and beautiful testament to the resilience and strength of true love.